Impressively elaborate! 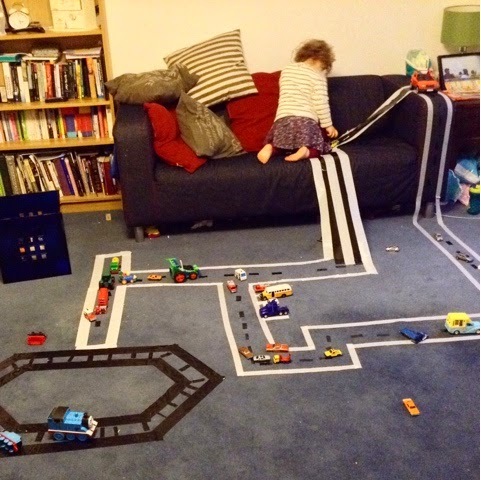 Our kids love building all manner of complex road networks too. What a great idea, looks fun. That's great! Is it tape? What a good idea.